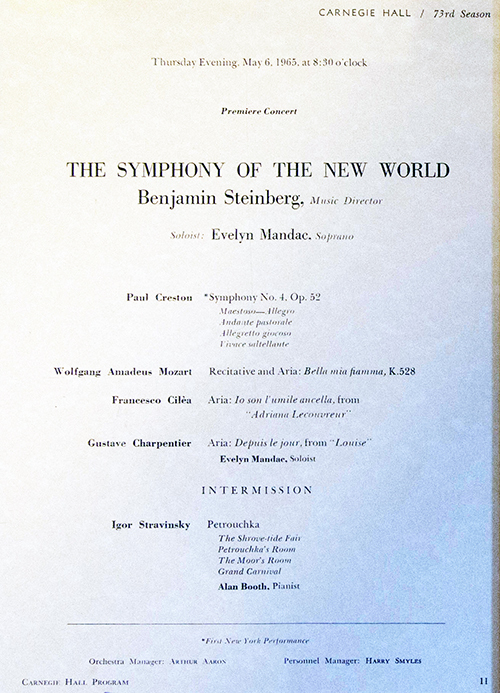 There were many great collaborations, commissions and premieres during the history of The Symphony of the New World. 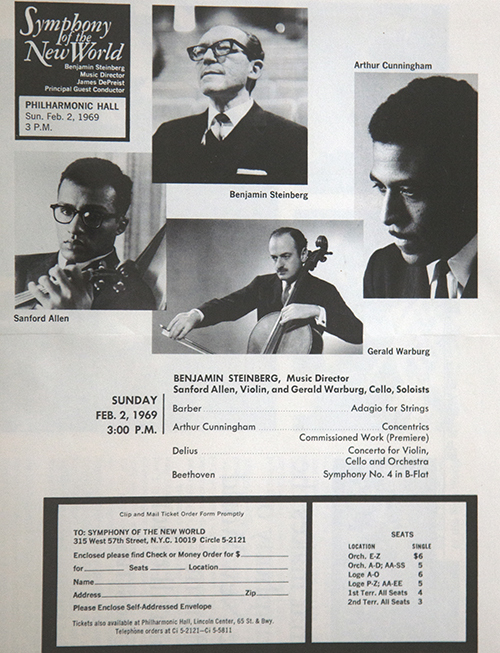 One was “Concentrics,” by Arthur Cunningham, which was performed on February 2, 1969 at Lincoln Center. 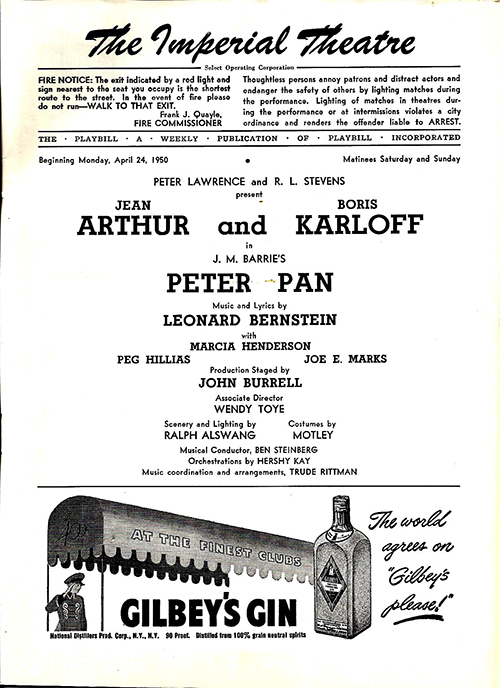 For the accuracy of Wikipedia, here is the program. Another collaboration was with Professor George Walker. 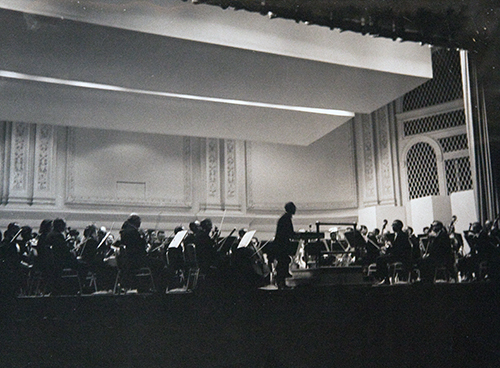 The caption to this picture reads, “Professor George Walker proudly listened to the premiere performance of his “Address for Orchestra” given to a Harlem audience in the theater of a high school. 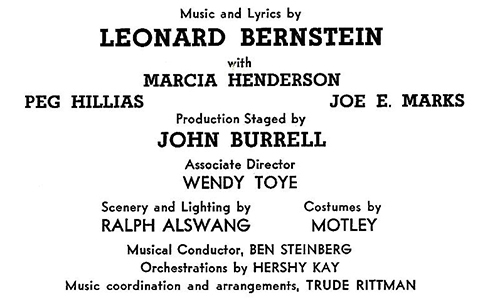 The following day the same concert was given on-stage at Lincoln Center for the Performing Arts. 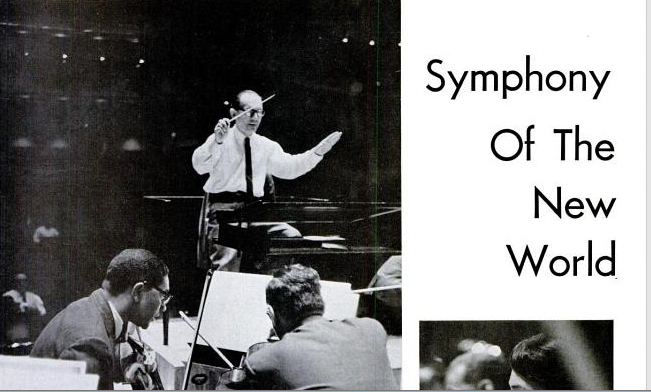 Professor Walker teaches music at Smith College and has toured Europe and the United States as a concert pianist. 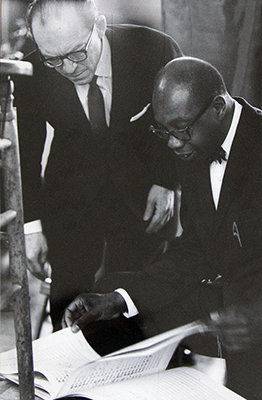 Mr. Walker is shown here going over his work with Benjamin Steinberg, director of the Symphony of the New World. 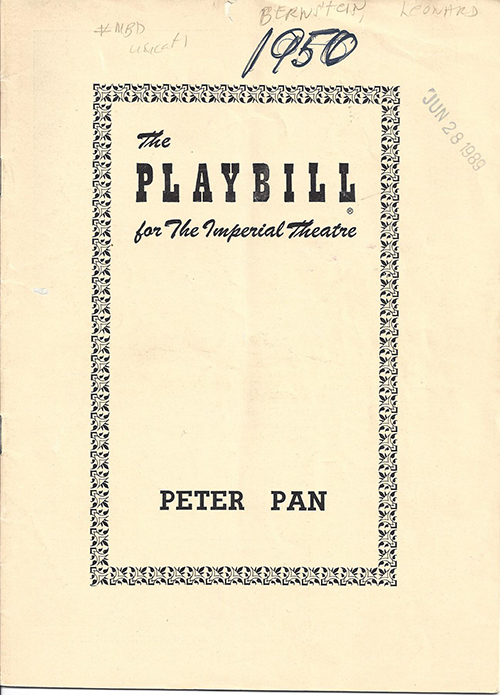 My father was also in the original Broadway production of Peter Pan, which premiered with Jean Arthur and Boris Karloff at the Imperial Theatre in 1950.